LOOK AT THIS! Use code EricChurchToday in the next 10 minutes and get 10% off! any purchase of $100 or more! Eric Church is heading out on his "Holdin' My Own Tour". Eric Church will take the stage with his signature trucker cap, aviator sunglasses and have the whole crowd "Raise 'Em Up" during every concert. 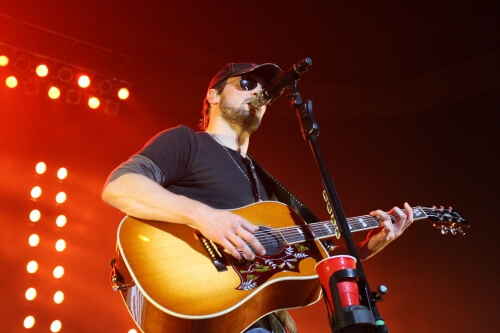 Don't miss this country music sensation take the stage and grab tickets to see Eric Church live today.